Chew Valley Lake Sailing Club hosted the RS200’s to their first Rooster GP event of the season, courtesy of their helpful landlord Bristol Water. 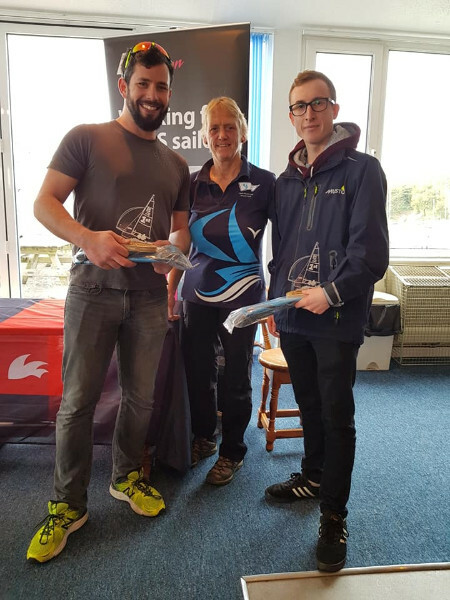 The fleet welcomed plenty of new sailors notably Russ Cosgrove and Lucy Mallory who picked up the Rooster Endeavour prize.The youth teams were on excellent form with Jamie and Bettine Harris showing many experienced sailors the way to go finishing 5th. Despite an extremely light forecast on Saturday the race officer set an excellent course and 2 fair races were held. Tom and Jo Hewitson disappeared into a gust to take the first race, and Jamie and Bettine found some great pace to win the second. Saturday evening had a successful social in Cheddar together wtIth the RS400’s. Sunday was a perfect breeze with on and off planing all day. The consistent pair of Olly Turner and Sam Motttershead won the 3rd race. Race 4 was won by the inconsistent Hewitson’s, Ed Whitehead and Izzy Savage won the fifth, this first time pairing had a fantastic day to finish second overall. The last race won by Alistair and Helen with the overall regatta win going to very consistent Ollie and Sam. Competition was fierce in mid fleet with BCYC’s pair Nicholas Smith and Max Ross collecting silver fleet and local boat Reuben and Jo Woodbridge picking up bronze. Thank you Rooster and CVLS for a great weekend of close competitive racing and to the competitors who travelled from far and wide. Rooster GP2 at Rutland 27th /28th April. Congratulations to Olly Turner and Sam Mottershead, winners of RS200 Rooster GP1 . 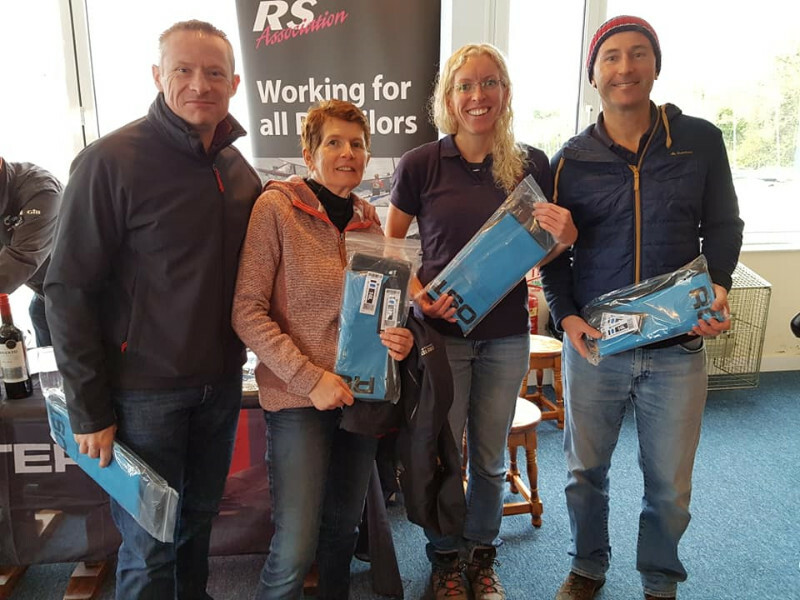 Also to mid fleet heroes Andrew Barnett and Jo Lloyd and Endeavour prize winners Russ Coggrave and Lucy Mallory, all winning Rooster 10l roll top dry bags. Silver winners were Nicholas Smith and Max Ross, with Reuben and Jo Woodbridge winning bronze.